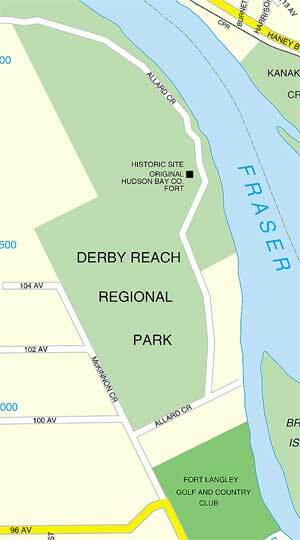 Derby Reach Park is the home of the original Hudson Bay Company Fort Langley site and now black cottonwoods support the nests of a colony of blue herons. The only GVRD park to over overnight camping. There is good fishing in the area.